Global Travel International Review: Is This For Real, or a Scam? Is Global Travel International an opportunity to become a home-based travel agent, or a scam? Well let’s dig in, and find out.. Becoming a travel agent wasn’t this easy in the past. Some time ago, you needed some kind of special training. But now it’s possible without taking classes. Global Travel International is a travel agency, that allows you to become a travel agent, without having to go thru any real training, or experience. The company provides you with the opportunity to make money, by getting commissions for booking travel trips. The company also helps people save money, by giving them large discounts on hotels, and car rentals. But, is this company legit, or is it a scam? There is a lot of confusion on the internet about this agency. Let’s see in detail what this company is, and how it works. We will also discuss in detail the pros and con’s of joining this agency. What is Global Travel International, and how does it work? Global Travel International is a travel agency that works off a homed-based travel agency model. The company offers travel agent training programs. You can either choose to work for Global Travel International, or become an independent travel agent. 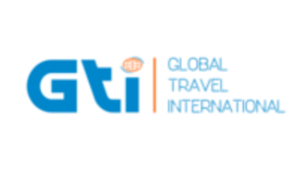 The company also provides various incentives to become a member of the GTI (Global Travel International) club. The agency provides multiple opportunities to its members. You can save money on your own travel by getting discounts, earn extra bucks by booking travel trips, or build your own travel business. There’s no real experience required to become a member of Global Travel International. Once you join the company, you can start traveling immediately. You are provided a website where your dealings are conducted. The agency offers you up to 90% commission, which is a considerable high percentage. You’ll be conducting business through your website. You’ll have to promote it widely, in order to enhance your sales. You’ll also enjoy large discounts on hotels, and related services. So in conclusion so far, I can say that Global Travel International provides an opportunity to save you money, as well as make you money. Global Travel International was founded by Michael Gross and Randall Warren, in 1994. These two gentlemen invented, and pioneered the home-based travel agency business. The company is also based in Orlando, Florida. The idea of this business was very sound. Michael and Randall realized that with the advancement of internet technology, the need of traditional travel agent booking was decreasing more and more, and the online booking system was increasing, and ready to take over. So they came up with an idea that would help them use the entire situation to their advantage. They came up with an idea to provide everybody an opportunity to become a travel agent, for a certain amount of money. There were no training classes required either. Anyone that owned a computer, could become a member. This turned out to be an amazing business plan, that started to attract large numbers of people. Has it been a success? The company has enjoyed a high level of success. It’s surpassed $125 million in annual sales. 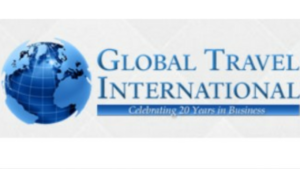 Global Travel International has also won recognition from famous newspaper media’s like “Fortune”, “The Wall Street Journal”, and “The New York Times”. The company has over 40,000 independent travel agents within 85 countries. There are also several success stories, and positive reviews about the agency, that are available online today. Global Travel International has these three subscription plans available: Sliver, Gold, and Platinum. The Silver membership plan comes with a charge of $299 per year. The price of the Gold plan is $399, whereas the Platinum plan is available for $499 per year. With the Silver and Gold membership plans, some of the discounts and bonuses, might be missing (or at least that’s what I’ve heard). You can enjoy full services and offers with the Platinum plan. The company offers a 14 day trial period. So in case you’re not satisfied with the services, you can cancel your plan and your credit card at anytime, and not be charged. The details of these plans are available here. Apparently, it seems that the company has a lot of benefits without any real serious consequences. Let’s see in detail what it has to offer, and what noticeable con’s its members face. High commission rate: Global Travel International offers up to a 90% commission rate for booking travel trips. So if your able to book a good number of customers, you’ll definitely be able to make some good cash. 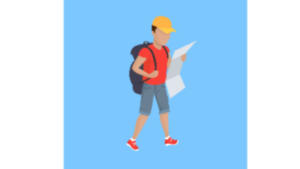 Set your own pace: One of the great things about this company’s home-based agent model, is that you have the freedom to do things in your own way. You can have a flexible routine while doing it part-time, or you can build your own travel business as a full-time job. You don’t need any kind of training, or office. It’s especially good for those who don’t have a lot of cash on hand, who want to establish a business as soon as possible. Step-by-step guide available: You won’t face troubles while setting up your business. Even if your not that good at using the internet. There’s lots of information available on the official site of the company, as well as on YouTube, and other popular websites. Travel discounts: If you travel a lot, the Global Travel International membership could be benefiting you in a big way. With their discounts, they could help you save a lot of money on hotels, and car rentals. Customer support service problems: There are a number of complains about the companies support service. Plenty of members have said that there are big communication issues between members, and the agency. They said that their emails and phone calls were not answered efficiently. Hence, their concerns remained unaddressed, and/or never answered. Any answers that were eventually received basically would take a long time. Low earning potential: Another downside is the actual earning potential of the company. Its’s not that great. The reason behind this is the fact that people are now able to make bookings themselves. There are plenty of great travel websites out there that have slowed down the travel agent business. However, people still book group trips via travel agents. So, this niche is more profitable. Complaints about service: There are also complaints about the services the companies providing. In some scenarios, the travel services weren’t as good as they were promised. These kinds of reviews are not good for any company. Is Global Travel International a scam? 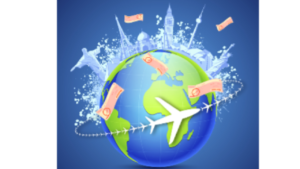 Global Travel International is definitely not a scam. It’s most definitely a legit company. However, there’s a great deal of confusion about its legitimacy, due to some of the negative experiences people have had and shared on different websites. Whether you should join this agency or not depends upon your own personal preferences. If you travel a lot, this could be a good way to save some money, as well as to make some money. However, if you are looking to make it a full-time job, it may not turn out to be that profitable. Global Travel International is a legit travel agency that works off a home-based travel agency model. You can make money by joining this company, and booking trips on the agencies provided website. You can also save money though the large discounts that the agency offers to its members on hotels, and car rentals. So it seems like you’ve got an opportunity here to become a travel agent, who could possibly make some money, while saving some money. That’s my verdict for this one guy’s!! Click here To Read My # 1 Recommendation! But other than that, would you happen to have something to say about Global Travel International being legit, or a scam? Maybe something to add to? If so, please feel free to leave a comment below. I would love to know what your point of view on all of this is! Thanks for checking out my post, and good luck with your success online! TreasureTrooper-Is It Legit, Or A Scam? Is Helium Network A Good Place For Writers, Or A Huge Scam?